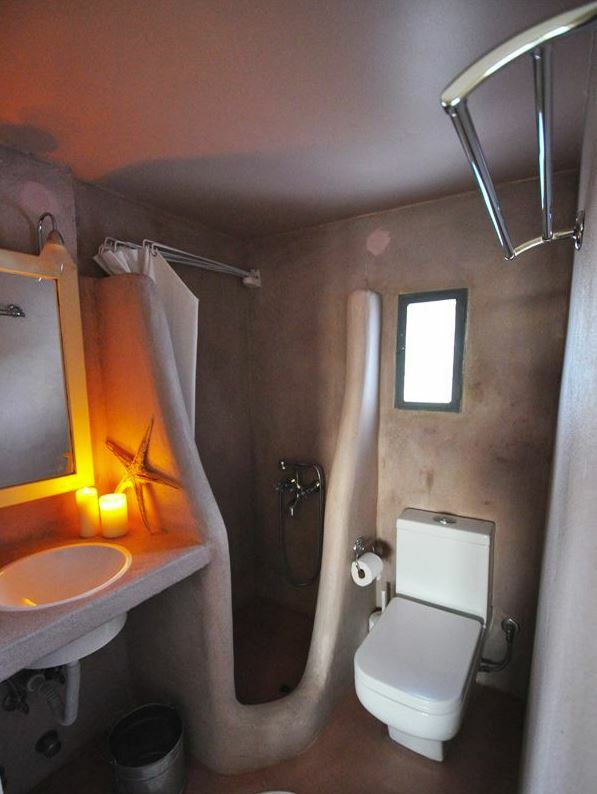 Villa Katapoliani - Explore the best destinations! 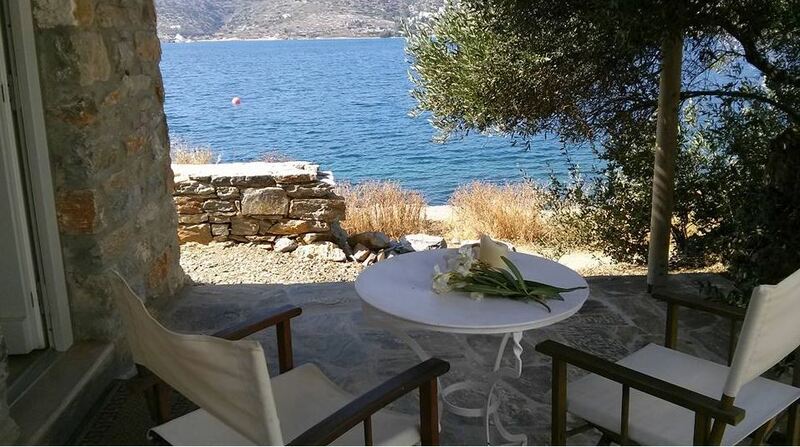 The Villa Katapoliani is a romantic getaway on one of the most beautiful islands of the Cyclades, with its hospitable people, the enchanting pictures and the endless blue, located in one of the most picturesque harbors of the Cyclades, the Katapola of Amorgos! 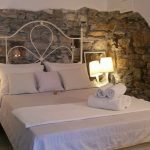 In villa 1 there are 9 rooms with iron heads of the beds and mosquito nets, in a romantic atmosphere, very cozy and characteristic of the Cycladic island. 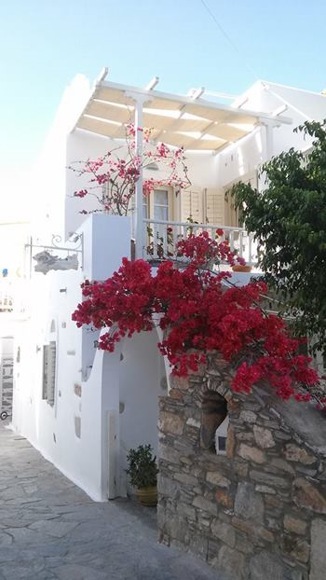 All the rooms have privet balcony or verandah with the view of the wonderful garden, were the ancient ruins of Apollo’s temple are been found, or at the typical road covered with local stones. 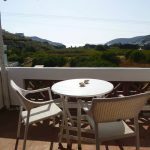 The secret of villa 1 is the roof garden were you can enjoy the magnificent view of the bay of Katapola and relax having a drink at the sunset. Villa1 is the ideal choice for those that prefer to be in the centre. 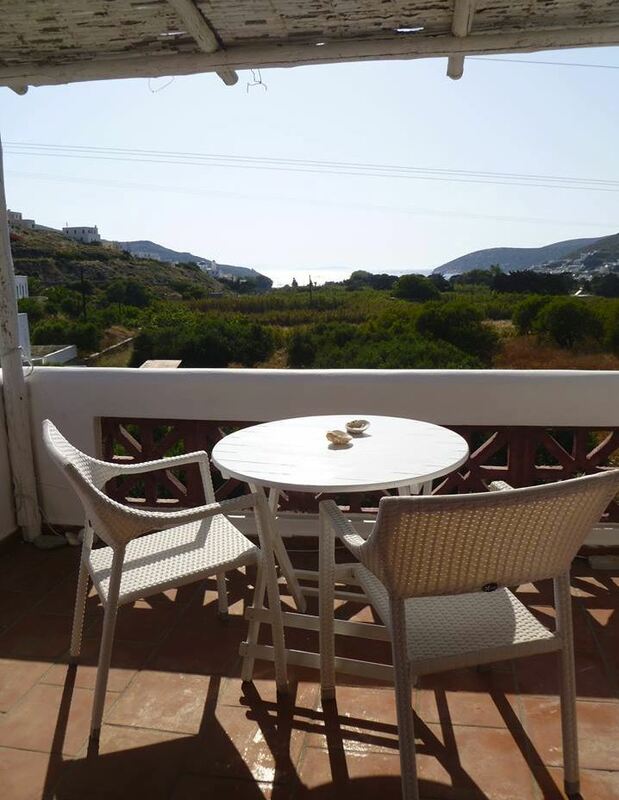 This is a very peaceful environment just 50m away from the port and 150m away from the fantastic sandy beach “Kato Akrotiri’’. This is the best place to relax and enjoy your holidays. 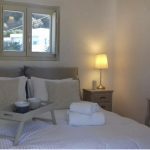 The rooms are decorated with paintings of the local artist Stella Spanou who does exhibitions in Amorgos every Easter and summer. 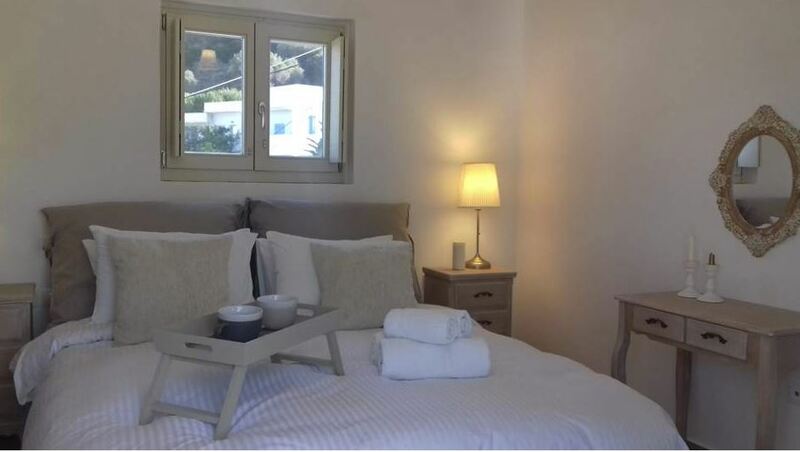 If you are looking for a marvelous getaway from crowded tourist areas, Villa Katapoliani 3 is the ideal place. We have created this villa especially for people that are looking for a comfortable accommodation in a peaceful setting, surrounded by the picturesque Cycladic countryside. 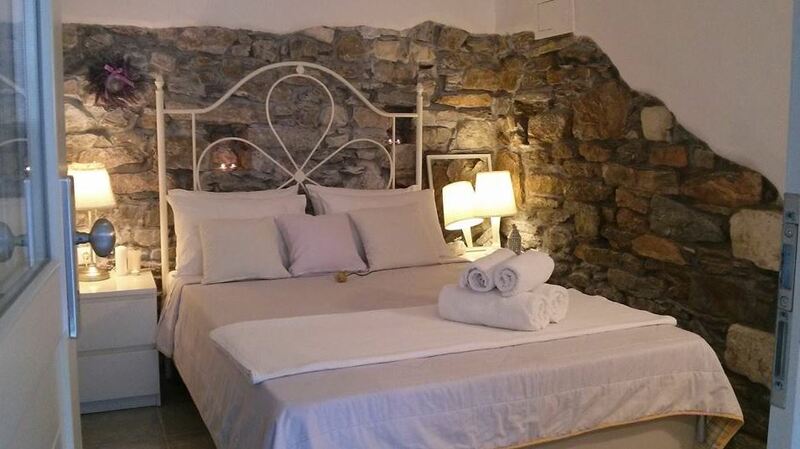 These rooms have been decorated with care so we can offer to our customers a romantic accommodation. 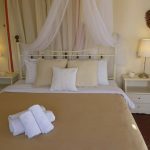 In Villa Katapoliani 3 you can find spacious and fully equipped apartments that can comfortably accommodate up to 6 people. This complex is placed in a distance of 800m from the port and it is absolutely the proper choice for the lovers of nature. 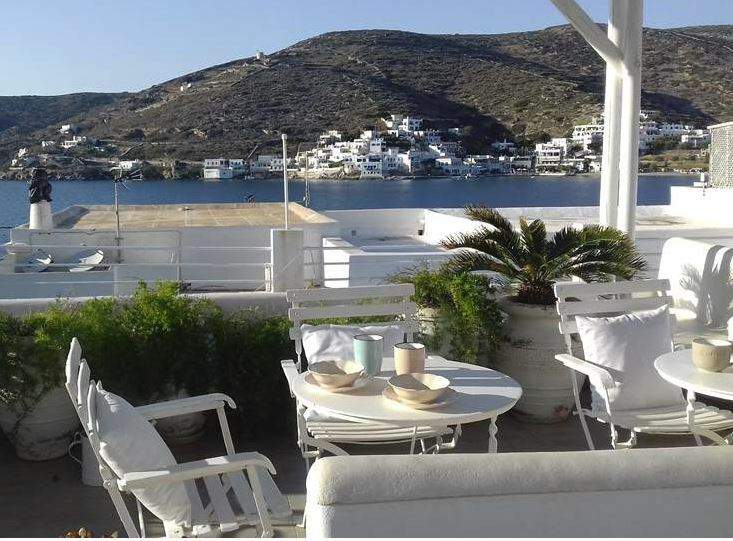 This place is an oasis surrounded by various plants and palm trees, where you can relax and enjoy the view of the port of Katapola, from your privet veranda. 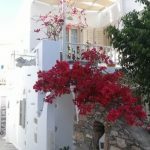 The rooms are decorated by paintings of the local artist Stella Spanou who does exhibitions in Amorgos every Easter and Summer. 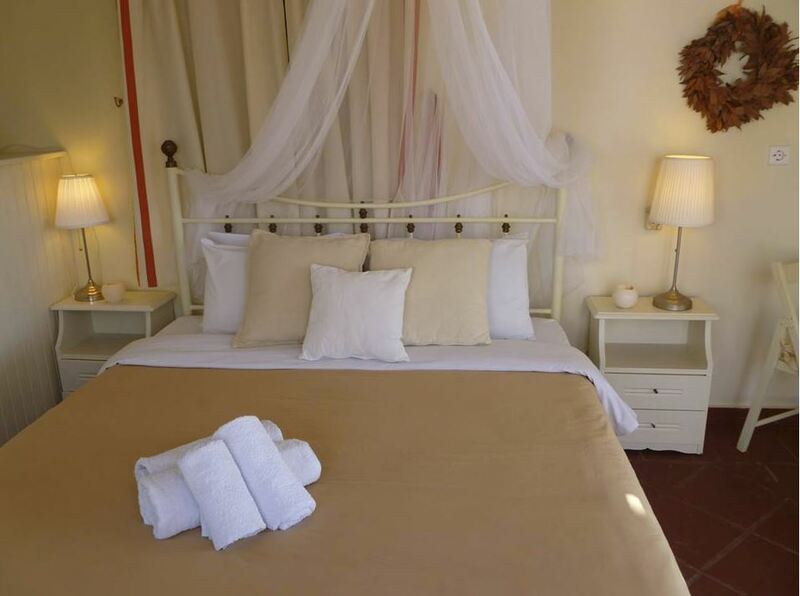 For those that are looking for a quiet and romantic apartment on the beach, this is the perfect accommodation. 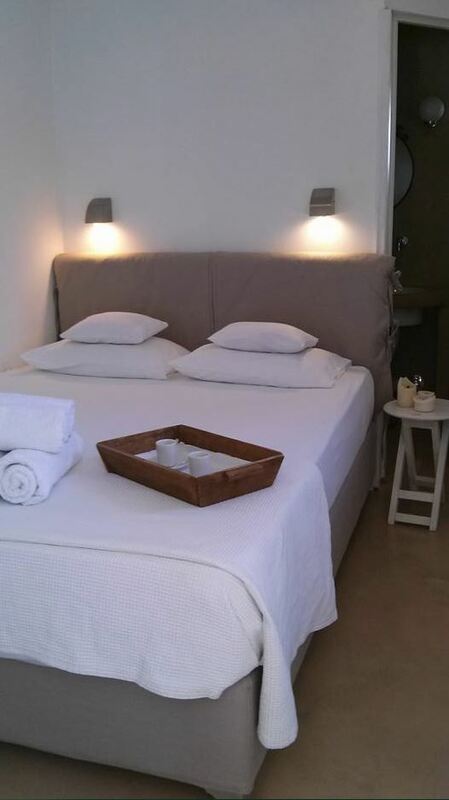 This small studio is on the sandy beach ”Kato Akrotiri” 100m of the port of Katapola of Amorgos. 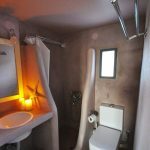 This lovely studio has a double bed, privet bathroom made with a special technique, that has heater(boiler), nice kitchen with refrigerator and a wonderful veranda on the beach. It is fantastic for a couple!